The 11th annual Best Translated Book Awards were announced this evening at the New York Rights Fair. 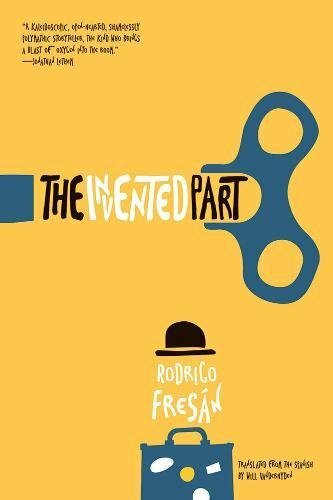 The Invented Part by Rodrigo Fresán, translated by Will Vanderhyden, won for fiction. Before Lyricism by Eleni Vakalo, translated by Karen Emmerich, took the prize for poetry. This year’s fiction jury is made up of: Caitlin Luce Baker (University Book Store, Seattle), Kasia Bartoszyńska(Monmouth College), Tara Cheesman-Olmsted (Reader at Large), Lori Feathers (Interabang Books), Mark Haber (writer, Brazos Bookstore), Adam Hetherington (author), Jeremy Keng (reader, freelance reviewer), Bradley Schmidt (translator), and P.T. Smith (Ebenezer Books, The Scofield). The poetry jury includes: Raluca Albu (BOMB), Jarrod Annis (Greenlight Bookstore), Tess Lewis (writer and translator), Aditi Machado (poet and translator), and Emma Ramadan (translator, Riffraff Bookstore). We announced the longlist and finalists here at the site earlier this spring. Thanks to grant funds from the Amazon Literary Partnership, the winning authors and translators will each receive $5,000 cash prizes. Three Percent at the University of Rochester founded the BTBAs in 2008, and over the past seven years, the Amazon Literary Partnership has contributed more than $140,000 to international authors and their translators through the BTBA. For more information, visit the official Best Translated Book Award site and the official BTBA Facebook page, and follow the award on Twitter.